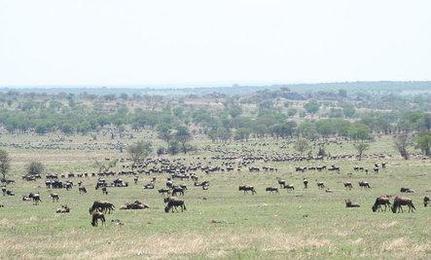 Care2 Healthy Living | Serengeti Highway Canned: Victory for Animals! Serengeti Highway Canned: Victory for Animals! Habitat fragmentation plays a role in species becoming threatened or endangered because they can become isolated from one another and have less continuous land to feed and move within. In open land some species may also be more prone to predation, as there isn’t the same kind of natural cover they can hide in. Tanzanian politician Jakaya Kikwete proposed the road, but conservationists said it could cause permanent harm to Serengeti National Park and the wild animals that live there. It was reported he did it to help garner votes, even though scientists said it could actually harm the park and doing so would possibly reduce tourism revenues. The highway might have also provided any easy escape route for poachers. Although the pro-development claim for such a highway project was to increase economic opportunity, a survey of tourism companies found 54% of them anticipated a drop in tourism of fifty percent or more. An obvious reason for such a drop is tourists driving themselves on the proposed highway and not hiring local companies or tour guides. If any of the tourists were unfamiliar with the area and animal movements, they might become a hazard both to the wild animals and themselves. For example, in the United States tourists on national park highways routinely hit and injure or kill wild animals. Save the Serengeti conducted an economic analysis and found potentially tens of thousands of tourism jobs could be lost due to the highway’s construction. That is sad about some never seeing a wild orca. I am so glad this Serengeti highway is not going through! this is wonderful news! thanks for this post.